Elizabeth Warren has a plan to stop corporations from ripping off the American people. 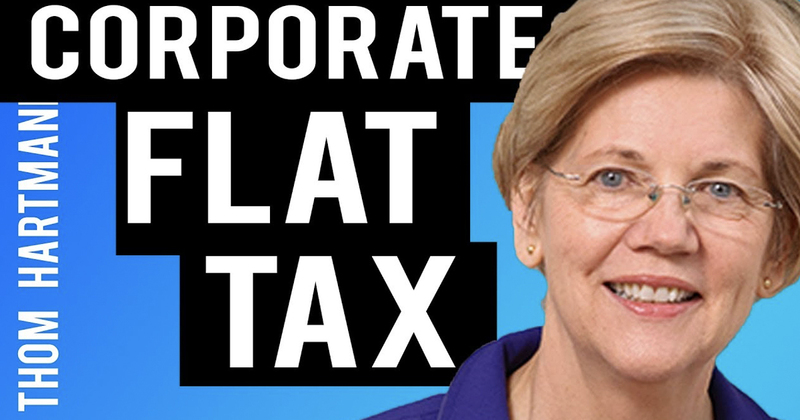 Proposing a corporate Flat Tax that would force the biggest companies to pay their fair share. Thom Hartmann discusses this.